My name is Megan Hauck and I am the general music and piano teacher. I have the privilege of working with every student throughout the school year. Our Kindergarteners receive general music class twice for 30-minutes each week. All other students meet for general music once a week for 45-minutes. Students sing, move, chant, and play in their music classes. Beginning in Grade 2, students also begin to learn how to read, write, improvise, and compose music. In 4th grade we study recorder, and in the upper grades we explore music through performance in drum circles and on ukulele. 7th and 8th grade looks at music through the lens of social justice. 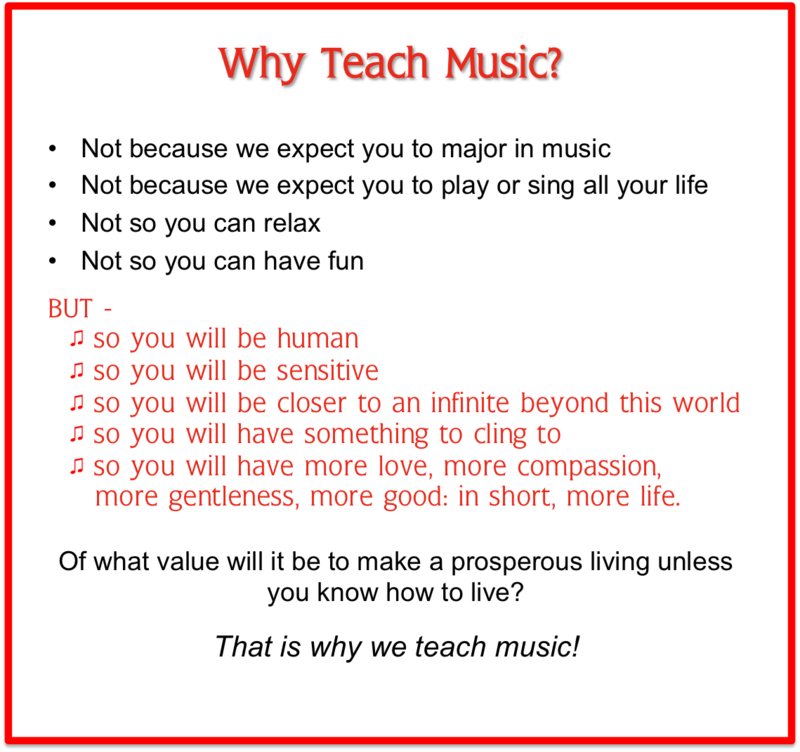 All this is done in an engaging way that lines up with best practices in music education. Shady Grove - this is an Appalachian folk song, we will use a casual tone rather than tall choir vowels. Most vowels will feel more closed (particularly "way" --> [we] and oh vowels to a closed [o]). The word early (page 12) will be pronounced erlai. Commas in the poem will allow for a slight lift in the phrasing with the exception of after "my little love" we will crescendo through to the next measure. Barn Dance We will use tall english vowels for this piece (avoid r in barn and horn, a more open "er" sound, a purer ah for "dance" than would be sung in Shady grove for example) . We will put a lift after "dance" in between the repeated phrase (do not elide the "s" to "on" (ie pg 3 m 31, pg 6 m 63)). Note the cut off of "dance" page 3 will happen on the down beat of measure 34 at the same time as the snap). Pg 6 measure 70, emphasize sway and decrescendo on "ing". The pick up into page 7 will have that mezzo forte dynamic as well, and we will take a breath together after "carefully". Turn the World Around - Please have all students practicing the clap separately from singing before putting it together. It is quite tricky we might end up having a separate clapping group, but I also have modified clapping rhythms for students who are struggling, but I'd like them all to try, it is good for our brains! Jubilate Alleluia- We all know to sing a-leh-LU-jah - please emphasized the unstressed pure ah vowel at the end of the word for your students. We will sing in two measure phrases on page 2 and 3 with the exception of measures 12-13 we will crescendo and connect to the next measure (same on measure 29-30, 70-71). I Sing - note the tempo is quite slow - I'd like the students to think of the tempo as stately, broad and determined rather than slow so we can maintain energy and sparkle through the long phrases. We will look to the poem for phrasing in this piece, breathing at the commas and thinking of crescendos on any long notes to maintain breath support. There are a lot of long notes for words that have an "ing" - encourage your students to think of the pure [I] vowel for that whole duration and put "ng" on the cut off.